Skolinks is a project of Skolidarité, a non-profit French association. 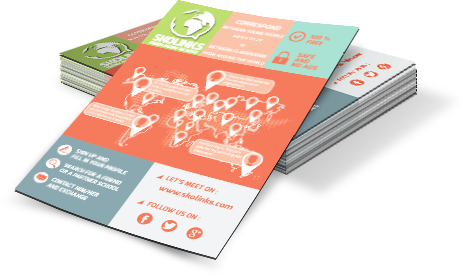 Skolinks has promoted exchanges since its inception when in 1999 a young French and a young Congolese began their friendship. Are you a young person or a teacher ? Would you like to have a personal correspondant or collaborate on a project with a class from another part of the world in order to learn another language, discover new cultures and open a door to the world ? Then Skolinks is (made) for you ! 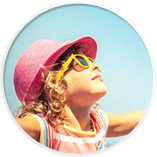 Skolinks is a 100% free site, a secure environment and easy to use, for youth (6 – 25 years old) as well as for teachers. Youth can find their own correspondants while teachers can find a safe and friendly environment for creating classroom partnerships from around the world. Correspondance wets the appetite for reading, writing, discovering and exchanging information with other people. It also allows you to open yourself up to others and to a different world and helps you get a better understanding of others, thus allowing acceptance of differences in perspective. Moreover, whether its as an individual or as a class, it creates an efficient and fun way to learn another language by providing an authentic context for communication. Globalisation needs not to be reduced to the ebb and flow of the global economy. Human relationships and the mobility of citizens should be encouraged and facilitated. By helping young people from around the world to meet each other online and by connecting teachers with teachers in other countries to develop collaborative projects, Skolinks encourages members to become citizens of the world. Understanding other cultures, religions and customs is essential to build a more tolerant world, encouraging intercultural dialogue and thus fighting against political and religious extremism. By learning from other young people, you will discover their daily life, the richness of their country, but also their challenges. You will also better understand the geopolitical stakes facing these countries and their people in the 21st century. Through these exchanges you develop with other young people, perhaps you will be inspired to take action and work together to create positive change in the world, making it a better and more equitable global society. How to help promote Skolinks ? The opportunity to provide exchanges on Skolinks grows with the number of subscribers to the site. You can promote this site by sharing it with friends, and professional colleagues. Give them the chance to create a class online exchange or allow a young person to make a personal contact. For this purpose, you may share Skolinks web address, add a link on your personal website or blog and distribute flyers to interested parties. We are always open to your ideas and suggestions in order to improve this site. Please contact us at your convenience.